Toyota Prius Forum : Toyota Prius Forums > Vendors > CARiD.com > CARiD Black Friday 2018: jaw-dropping deals! Are you ready for the day of the incredible savings? We are! This Black Friday 2018, CARiD has unveiled thousands on incredible deals on most of the products showcased on our digital shelves, that you've been dreaming about for so long! Dive into the best shopping experience and the best promotional offering with us. 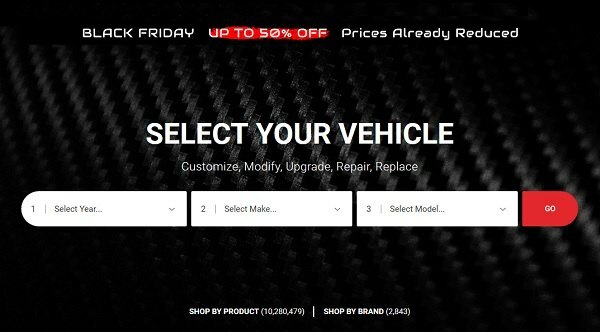 Make your purchases wisely find the most attractive Black Friday deals online on the best automotive parts and accessories at CAiD.com. Hurry up, the offer is available on 11.23.2018 only!